Here’s a chance to fly one of the most luxurious business class cabins in the world for a really low price. 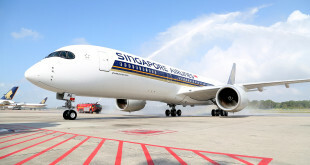 Singapore Airlines is offering an all-in, round-trip business class fare of US$3,699 (about Rs 2.51 lakh) from each of its U.S. gateways in New York JFK, Los Angeles, San Francisco and Houston to select destinations in Southeast Asia. 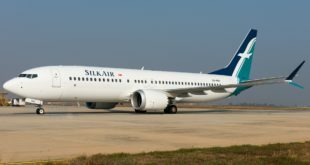 These include Singapore, Bangkok, Jakarta, Kuala Lumpur, Denpasar Bali, Manila, Phuket, Penang, Laos, Vietnam and the Maldives. Unfortunately the island nation carrier has chosen to exclude India and Sri Lanka. Singapore’s business class is considered one of the best in the world with an incredibly wide 30 inch seat, wider than most first class seats, which folds in to a full flat bed. A great IFE system, choose your entrée before your flight with ‘Book The Cook’, one of the best wine cellars in the sky, and the great service of the Singapore cabin crew. Booking must be done between July 20-31, 2016 and travel must take place between August 1-December 31, 2016. This fare deal is priced per-person for two passengers travelling together on the same itinerary. The minimum stay is for seven days and may not exceed a maximum stay of one month. Visit the airline’s website for full terms and conditions. 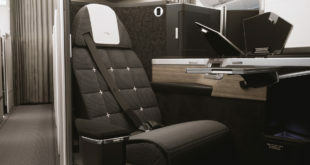 Editor’s note: Normally we do not carry stories on fare sales, but it is a rare occasion for Singapore Airlines to offer a deal on business class.